How long have you been a nanny, or how long were you a nanny? 13 years. What is a highlight of your nanny career? The relationship I have with every family I worked before and the difference I made in every child I took care of. How did you come up with the idea of your book? Throughout my nanny career, I met many nannies at the playground, neighborhoods, and at children’s classes who in one way or another would complain or have an issue with their jobs. Low salaries, scheduling conflicts, over indulgence of the children the cared for, the load work they had to do around the house, and long working hours without overtime payment were all common issues for nannies. However, these were all issues that I never had because I set the boundaries right from the start of every job I had. Helping nannies learn to take more initiative of their careers and work environments with grace and effectiveness is one of the main aims of my book. What is your level of monetary investment and have you seen a profit? The production of the book was around five thousand dollars, the publishing company pays royalties quarterly. I am still waiting for that around November. What is the purpose of your book? To change the public perception of childcare careers. The first years of life of every human being are the most important ones. With today’s fast-paced society, parents get busier by the day. They go to work and rely on caregivers for their children, whether in daycare centers or with nannies. So, these centers and nannies become the ones who ultimately raise tomorrow’s citizens. Every interaction during those years will have an effect later on the children’s performance at school and society overall. Thus, the role of the caregiver becomes of great importance. I believe that anyone desiring to work with young children should at least have some knowledge of brain development. In my book, I make a point of this. I believe that no matter how busy or how absent the parents may be in the beginning, there should also be a thoughtful caregiver behind the child who helped and touched a life in a consciously positive way, therefore making an impact in society. I’d like readers to understand that the nanny profession is one of the most important ones that exists. 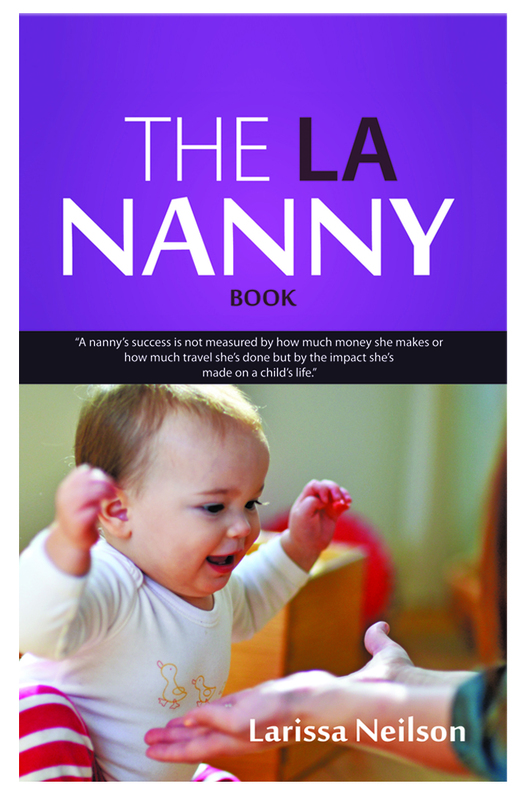 How has the nanny industry received your book – i.e. what has been the feedback you’ve received? The feedback has been amazing, some of nannies have written to me thanking me for the ideas given in the book, others have said that they never heard about the RIE approach before and that they are willing to explore. Nanny agency owners are sharing it with their nannies, and I have a glowing review from Jenn Greenaway a blogger from Educaring the Heart. I also had the amazing support of the president of RIE a nonprofit organization based in LA and several of the RIE Associates. What words of wisdom do you have for others, who may have a product/service and wish to expand its market? If you know of anything that could be helpful to others start helping right away. If you know someone who could be helpful to them, make an introduction immediately, either via email, or in person. If you know of a great book that contained just the knowledge someone needs for the challenges she/he are facing, I wouldn’t just recommend it, I’d go online and order it for them. My motto is keep helping, keep giving and stay in touch with the people you meet. Rewards in life go to those who follow through. If you see some article or other resource that would be useful to someone, send it their way. The need I saw when meeting all those nannies who were struggling motivated me to write a book with ideas to help them. What do you wish you had known early on, that you’ve learned going through this process? This is my first book, I always loved to write, I keep a journal since I was twelve years old to this day. As the book got published I had so many more ideas to add on, I guess they will all go for the second edition. Any other information you would like to share with us? I am working right now in a curriculum to train RIE inspired nannies, I will be announcing more information about locations, duration and costs of the seminars. The seminars will be focus on training Infant Care Specialists and it aims to reach out to nannies who like to work with infants from 2 months old to five years old. Nanny Households and ObamaCare → ← Pumpkins, Pumpkins Everywhere! It was great to read through your Q&A about your book. I have been a full time nanny for the past 8 years and love my job. Never thought this would become my career but right now it is and I too want to let others know our job is a special one that doesn’t need to be looked over. Thanks again Megan and yes let’s keep in touch!